April 16, 2017 This post may contain affiliate links. Blogging takes up a ton of time, so why should you even bother with creating an ebook? An ebook is a little harder to create than a regular blog post. A 20 page ebook is around 3000 – 4000 words. Then you have to edit it (really edit it. You can’t go back and fix things once someone has bought it), design a cover, format it and deliver it to your customer. Oh yes – and make sure you get paid for it. 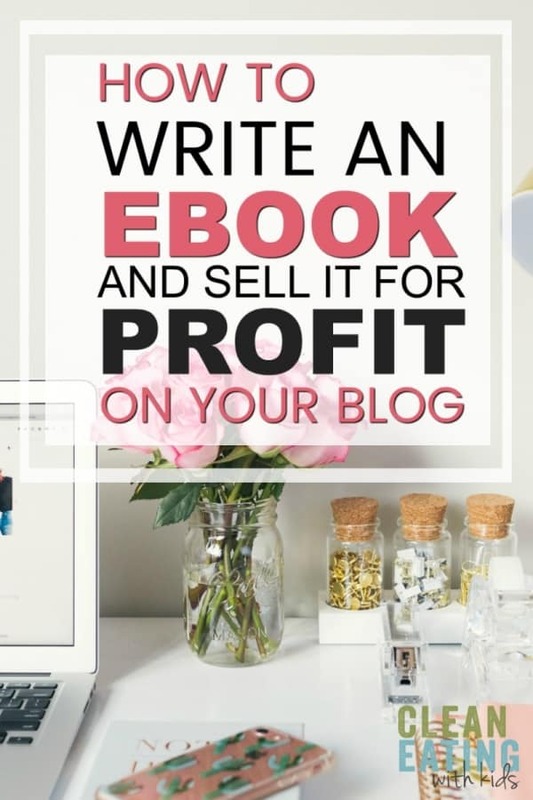 There are a couple reasons why every Blogger should know how to write and deliver an ebook to their Readers. 1. You can sell an ebook for profit (because let’s be honest, that’s about 99.9% of the reason we put in the work – to make a profit). For the purpose of this post, I’m going to assume that you are writing an ebook to sell as a product on your blog. ** If you are creating an ebook to give away as a free opt in and build your mailing list, then you will only need to complete STEP 1 and STEP 2 and then read this Post: How to Add a Mailing List Opt in to your Blog. What Should you write an ebook about? What problem do Visitors to my blog have and how can I help them solve it? And then create the ebook that answers that question. If you are stuck for ideas, browse through some of the popular blogs in your niche to see what type of ebooks they have created. It will give you good idea on what you should write about. Try and stick to 20 – 25 pages to start. This works out to around 3000 – 4000 words on average. REMEMBER –>> Pack as much value as you can into those pages. When I wrote my book, I used Scrivener because it was what ‘everyone’ was selling, and it’s a great way to organise a lot of text, but personally I think it’s overkill for an ebook. You can just as easily use Microsoft Word or even Google Docs to set up a good ebook. How big should the page size be? I write all my ebooks in Word and I stick to the standard US page size (8 1/2 by 11 inches) and set large margins (1 inch all round) so that my ebook prints out well on all page sizes, including A4 (the page size used everywhere else in the World). For a basic 2D Cover design, I use Picmonkey (you can give it a go now. They are offering a free trial at the moment. It’s awesome!). Once you have created your ebook cover image, you simply insert it into the front page of your document. BONUS TIP: Designing a 3D Image of your new ebook. Once I’ve created my ebook, I like to get a 3D image made. This is the image I use in my shop or in the marketing of my ebook or product. It makes the ebook look a bit special and I think adds value to the product. I head to Fiverr.com and get someone to turn it into a 3D ebook graphic. You can purchase 3D ebook software of course, but unless you are creating a ton of ebooks, I’d say stick with Fiverr. You can get a custom 3D Ebook Graphic for $5. And you don’t need to do any of the work. If you want to go into a bit more detail on ebook creation, then read Darren Rowse post on the topic here. The next step is to save your document as a pdf. As I mentioned earlier, I use Microsoft Word, so I use the “Publish as PDF” feature. You can see the step by step tutorial here. Adobe PDF is fantastic (they have a 7 day free trial offer, but after that I think it’s around $100 for the annual package). The best free option that a lot of bloggers recommend is pdf995, so give that a try. I haven’t tried it myself, so please let me know how it works for you is you use it. Google docs does offer a save to pdf option, but I just cant seem to get it working like I want it, so unless this improves, I would recommend one of the above PDF converters before using the docs option. Finally, save your completed PDF Ebook to your computer. If, however, you want to charge money for your ebook and get paid for your time (and I a have a feeling you really, really do!) then keep reading. I played around with this for ages trying to find the right way to sell my ebooks. I wasted hours of time and energy. Seriously. Hours! I tried adding a Paypal button, but then it was a headache trying to deliver the ebook to the customer correctly. And it looked really messy – which bugged me. It was OK for one product but not when started creating more products. Then … I went on for a few more months and I tried countless service providers and spent way too much money in the process. Wasted money which really upset me because my blog wasn’t making any money at the time. I’m not big on the Sales thing, because I really don’t like it when other people push a product on me, but in this case, I’m going to recommend that you sign up to Shopify. It’s an all in one shop software that gives you everything you could possibly need to build a store on your blog. If you are looking to add more than one product to your blog – and I strongly advise that you do – then I recommend saving yourself the headache and just start with Shopify. Their Shopify Lite pricing starts at $9 per month and they offer a 14 day free trial. The Lite option will be adequate to get you started selling your ebook. It can accept payments and deliver your ebook to your customer all in one place. Two sales would cover the cost for the month. Don’t waste hours trying to figure this out like I did. Just start with the best in the beginning and build from there. You can take a look at my Shopify Store here. This is a HUGE part of the process. If you are using Shopify, then this isn’t a problem. The software accepts payments and delivers your ebook to your customer for you and send oney directly to your account or Paypal. 2. You can simply add a Paypal button to your website. Sendowl is really easy to use but also starts at $9 a month for an account. If I had to choose, I would go with Shopify everytime. You get a lot more value for your money. The Paypal Button is free. Do You need to copyright Your ebook? Dave Taylor has written a great article on the exact copyright words you should include in your ebook.